Phillip S. Wherry, aged 48, passed away due to heart failure on March 10, 2015, at his home in Vienna, Virginia. He is survived by his wife, Holly Vineyard, his parents, John and Ardyss Wherry, and his brother and sister-in-law, Matthew and Songlan Wherry and their children, Ken, Hana and Kai. 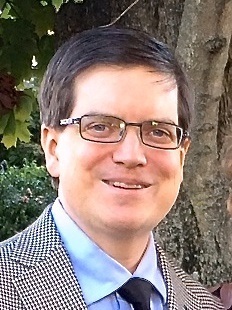 Phil graduated from The College of William and Mary with a degree in Computer Science and later served on the W&M School of Education Development Board. He rapidly became a recognized expert and patent holder in the field of computer and network security and founded Wherry Systems, LLC. In addition, he provided management and technical support for The Parent Institute, a company dedicated to the involvement of parents in the education of their children. As an accomplished amateur astronomer and recent president of the Northern Virginia Astronomy Club, which grew to be the largest club of its kind in the U.S., Phil organized the annual Almost Heaven Star Party, held each year in conjunction with The Mountain Institute. As a mentor and friend, Phil inspired curiosity and accomplishment in everyone that he met. He will be missed dearly. A memorial service will be held March 28 2015, at 11:00 am at Kirkwood Presbyterian Church, 8336 Carrleigh Parkway, Springfield VA 22152. Donations in Phil's honor may be made to The Mountain Institute's Appalachian Program at www.mountain.org.